So I was trying to find out what kind of alien Yoda was. Yeah, I've been on a Star Wars binge. Anyway, from what I've read, the race is intentionally left unidentified. However, I couldn't help but notice how much he looks like a goblin, albeit a very old one. 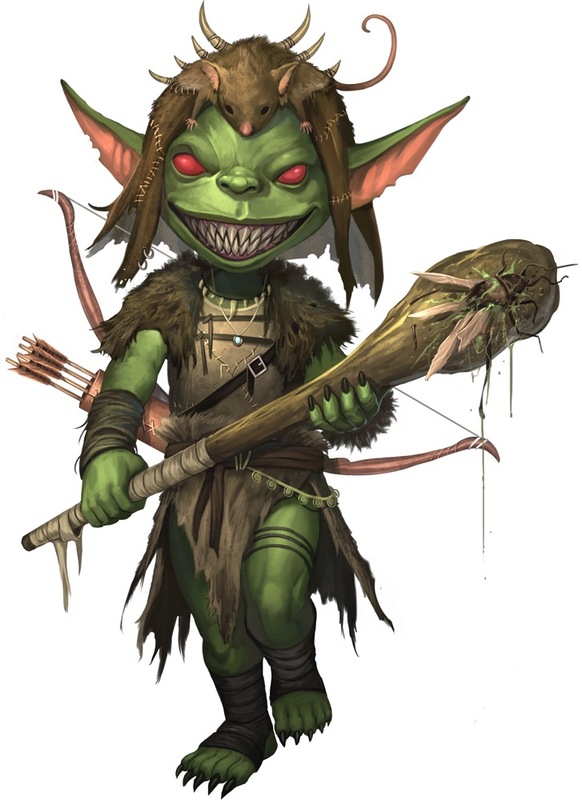 So suppose the reason you don't see Yoda-looking goblins in D&D is because very few of them live that long? Perhaps there is a goblin culture that is a bit more civilized than the little savages we all know and love (to run swords through)? Heh, methinks I need more coffee! He sort of llooks like a Pathfinder goblin.